Greg Fritz has been spreading the Good News of the gospel for over 35 years, traveling literally millions of miles in the United States and abroad. 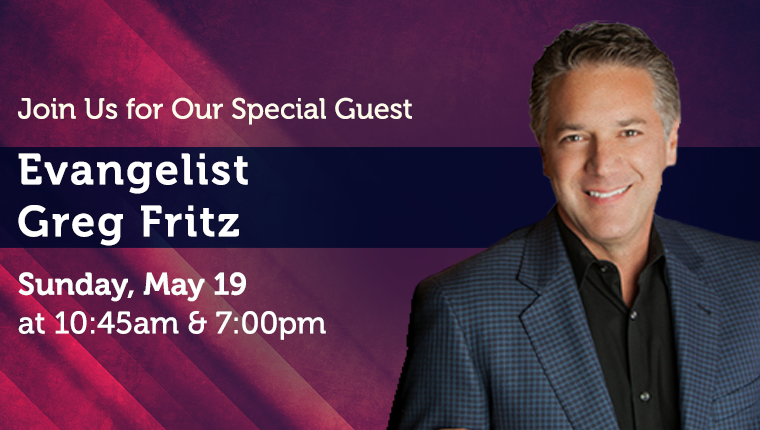 His travels include life-changing ministry in over 25 nations of the world, emphasizing grace, faith and revival! Greg Fritz Ministries has shared the message of Jesus to thousands through his teaching materials. He ministers regularly in churches, Bible schools, seminars, camp meetings, healing rallies, leadership conferences, overseas outreaches and through his new show, Good News, which airs Monday – Friday on GospelTruth.TV. Greg is a graduate of Rhema Bible Training Center and lives in Tulsa, Oklahoma with his wife Carol.